The month of June is already well underway. What fitness goals do you have for the new month? And how did things go in May? 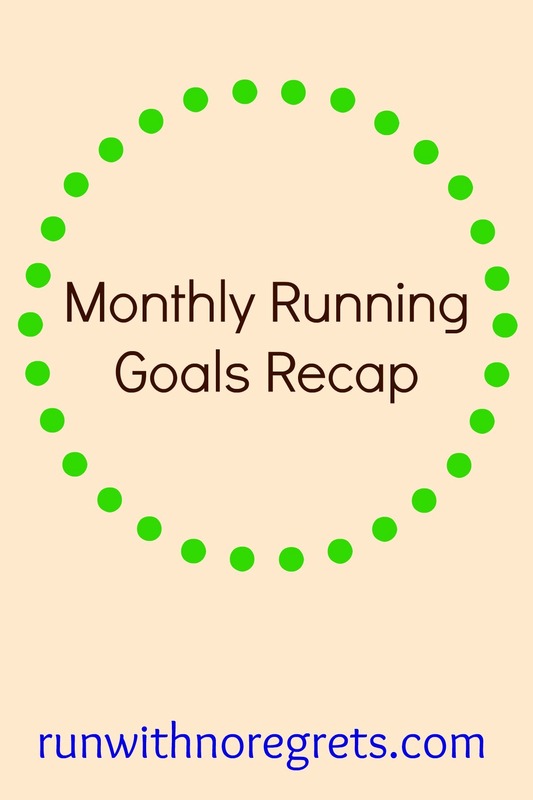 I’m joining Ange and Carmy for the Monthly Goals Linkup! Head over to their sites and see how everyone is doing with their goals! I’m also linking up with HoHo and Tricia for the Weekly Wrap! May was a really busy month! I ran two races and had a LOT of project-related busyness at work. Thankfully, I made it through to the other side and was able to run a little over 71 miles in May. So with so much going on, how did I do with my specific goals for the past month? Run a strong race at the Buffalo Half Marathon. Grade: A+. If you haven’t read my race recap, check it out! It was an amazing experience and I’m glad to say that I was proud of the outcome. I’m still riding the high over a week later! Dedicate more time to self-care. Grade: F. All of the things I hoped to get done during May didn’t happen. I did have several free weekends, but as always, my calendar filled up with various obligations. Not a good excuse! Go out to eat/get take out no more than 2x per week. Grade: C+. We definitely did a good job going out to eat less during the week, but I had too much fast food for lunch, which is something I only do when we’re low on groceries. Working on this goal will continue to take some time, but I’m optimistic! And now it’s time to get my act together for June. It has already started off with a bang with the Ragnar Relay in Pennsylvania and I have one more half marathon to go before training mode is over for a couple of months. In the meantime, focusing on cross-training, nutrition, and taking care of myself will be key this month – my goals are below! Take yoga and/or barre once a week. Since I am finally heading towards my running off-season this month, I really want to focus on staying flexible and strong by consistently taking yoga and barre classes. I also hope that these classes will keep any potential injuries from creeping back my way. Focus on cooking meals with the farm produce and meat shares. This month kicked off farm share season and the timing couldn’t be more perfect since my motivation to cook healthy meals has been at an all-time low. For the first time, we also signed up for the full meat share that will include poultry, beef, pork, and catfish! That means we have a lot of possibilities and I’m inspired to see what I can do. Dedicate more time to self-care. Since I did such a poor job of this last month, I’m really going to commit to self-care in June. Massage appointments, hair appointments, and simply relaxing IS happening! How did you do in May? What is one of your health/fitness goals for June?